Fill out our appraisal form and let us know as much information about the item as you have. One or more digital photos of your item is all you need. Our experts will appraise it. It's that simple! Learn more about online appraisals. You can learn a lot from an appraisal. For example, if you have an item to sell, an appraisal will help you get the best price. Insurance companies may require appraisals for property insurance. If you are moving, it's a good idea to get items appraised in case they are damaged during the move and you need to file a damage claim. Appraisals are also very valuable for life events such as wills, inheritence and divorce. In addition to learning about the market value of your item, you can also learn about its history. Each piece has a story to tell and our expert appraisers can reveal that story to you. They can also help you find groups and other people that share your interest in the item. Learn about your item with an online appraisal. Not all appraisal providers are equal. ValueThisNow offers superior turnaround times — often under 3 hours. We offer reports that are suitable for property insurance related matters or matters concerning equitable property distribution. 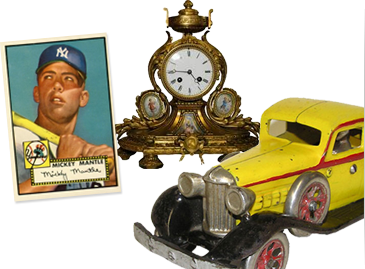 Our world-class appraiser community can provide amazing facts and history about your antiques and collectibles saving you time and money before you buy or sell. Our appraisal reports start at $19.95, are USPAP compliant and come with a 100% money back guarantee if your not satisfied. What are you waiting for? Let's find out what your treasure is worth.